Sudoku solver by Rudi Bjørn Rasmussen. 3 by 3 cell are tried. // If one of the fields is zero, no solution has been found. // This check only needs to be done here, since the column check scans all fields. 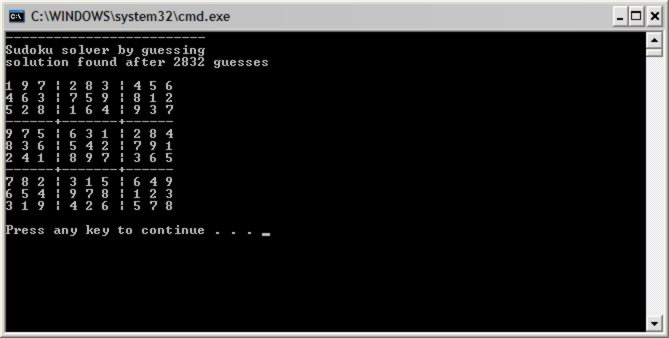 // This function recursively tries to guess next number on the board.